Trang province offers adventurous foodies a range of delicious dishes in a pristine natural setting. People who have the explorer’s instinct like to investigate places that others find boring, because it is in such places that you find things you never expected. Southern seaside provinces such as Surat Thani, with its tourist islands including Koh Samui and Koh Phangan, have become so famous that they eclipse the others. 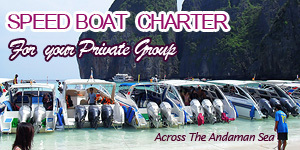 But travellers who take time to truly explore the beautiful, quiet and unspoiled Chumphon province will find it is the true gem of the Gulf of Thailand. On the other coastline facing the Andaman Sea you find Phuket, Phangnga and Krabi, which receive the most attention and draw in the most visitors, who tend to overlook Trang province – the real diamond of the Andaman Sea. With islands like the ’Emerald Cave’, Trang offers a unique experience that is seriously off the well-trodden path. Why is it that, with the age of the Internet and all the information available on places to go in Thailand, people, when choosing a holiday destination, always select the same old places? Especially, when it’s a tropical beach they are after. Today I will guide you to Trang beautiful beaches which are tens of kilometers long. Trang is situated along the Andaman Sea. In this province, you will find lots of beautiful islands and many fountains that will take your breath away. My journey begins in the afternoon when there is not much traffic. I use the Petchkrasem road, driving through Petchburi and Pranburi province and heading for Chumpon. The total distance from Bangkok to Trang is around 900 kilometers. 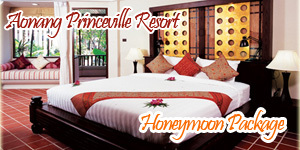 Tonight we will sleep at Amari Trang Beach Resort, the only 5 stars hotel in this province, is situated on Jao Mai Beach.